Life of a Catholic Librarian: Tea Time with Tiffany #97 - New things are brewing! 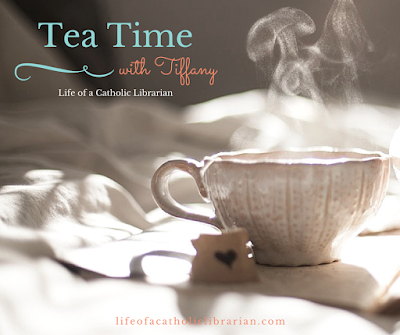 Tea Time with Tiffany #97 - New things are brewing! Today I talk about the upcoming 100th episode of Tea Time, and some plans for the future of the show and the blog. We also spend a little time discussing summer projects at work, and Ascension Thursday. Join me! Vote in the Summer Book Club poll! Happy Memorial Day weekend! I won't be back on the blog until Wednesday, but I promise to talk to you all then! What do you have planned for the holiday weekend?